There have been many Bakugan series to come out. Each Bakugan series that is released includes new Bakugan types and a new card set. In addition, each new series includes some new variations of Bakugan that were released in prior series. 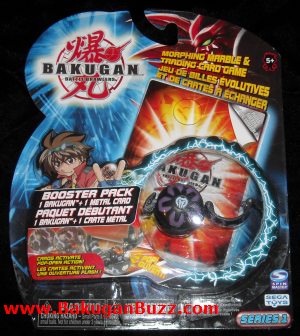 Other than the first series ( series 1 ), each new series includes 8 new Bakugan types plus a new 48 card set. Although its not officially a "series", special attack Bakugan are released in waves/series as well. Below we will go over each series. Series 1 was the very first Bakugan series. There were 18 original Bakugan released. They were all 29mm in size. The series 1 card set included about 132 different cards with the first 5 of them being gold foil cards. Check out Bakugan Types to see all of the Bakugan from this series. You can also check out Bakugan Cards to view all of the cards released in this series. 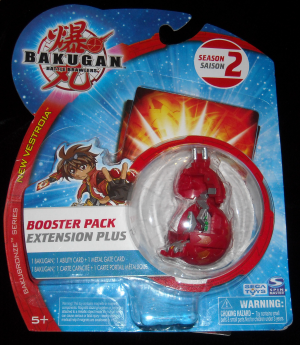 Series 2 was the second series of Bakugan released. 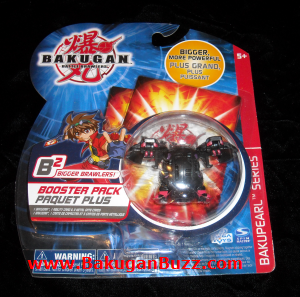 there were 8 new Bakugan types released with this series. Still original 29mm size as well. The gameplay rules changed and a new 48 card set was released, the 1/48 set. All card sets from this series forward contain 48 cards total with 24 gate ( 8 of each color ) and 24 ability ( 8 of each color ). Check out Bakugan Types to see all of the Bakugan from this series. You can also check out Bakugan Cards to view all of the cards released in this series. 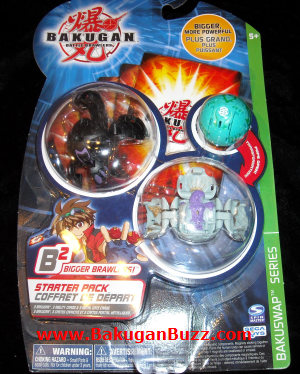 BakuPearl Series introduced the B2 size Bakugan. From this series forward, all Bakugan are 32mm in size. As before 8 new bakugan types were released. The new card set was 1/48b. Starting with the BakuPearl series each series gets its name from the special variations of Bakugan that are released with it. All of the series from her forward are Bakuxxxxx where xxxxx is the special variation. 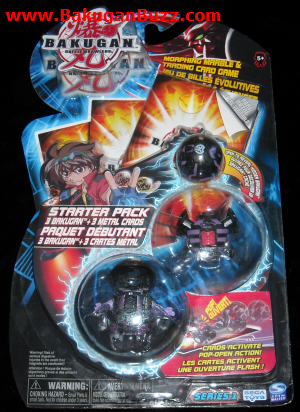 The BakuPearl series released Pearl versions of Bakugan. Check out Bakugan Types to see all of the Bakugan from this BakuPearl series. You can also check out Bakugan Cards to view all of the cards released in this series. BakuClear series introduces Clear Bakugan. There was 8 more Bakugan types released as well as a new card set, 1/48c. Check out Bakugan Types to see all of the Bakugan from this BakuClear series. You can also check out Bakugan Cards to view all of the cards released in this series. 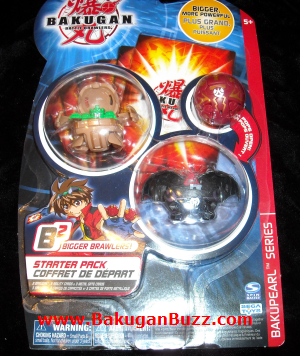 BakuSwap series introduced the swap ( or dual attribute ) Bakugan. There was 8 more Bakugan types released as well as a new card set, 1/48d. Check out Bakugan Types to see all of the Bakugan from this BakuSwap series. You can also check out Bakugan Cards to view all of the cards released in this series. BakuNeon series introduced the Neon Translucent Bakugan. There was 8 more Bakugan types released as well as a new card set, 1/48e. Check out Bakugan Types to see all of the Bakugan from this BakuNeon series. You can also check out Bakugan Cards to view all of the cards released in this series. 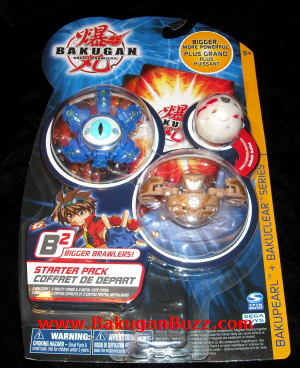 BakuBronze series introduced the bronze Bakugan. There was 8 more Bakugan types released as well as a new card set, 1/48i. Check out Bakugan Types to see all of the Bakugan from this BakuBronze series. You can also check out Bakugan Cards to view all of the cards released in this series. 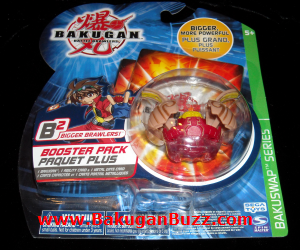 BakuGlow series introduced the glow Bakugan. There was 8 more Bakugan types released as well as a new card set, 1/48n. Check out Bakugan Types to see all of the Bakugan from this BakuGlow series. You can also check out Bakugan Cards to view all of the cards released in this series. 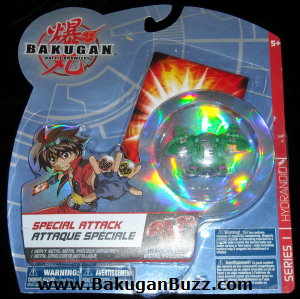 Bakugan Special Attacks have been released in different waves. 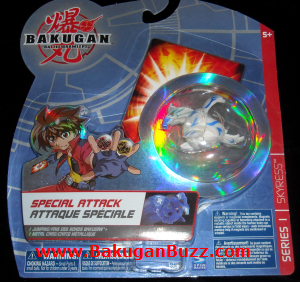 All special attack Bakugan have an ability or something special that normal bakugan dont have. This may include g-power or element changing wheels, jumping ability, spin or even a chrome metal ring ( called heavy metal ). 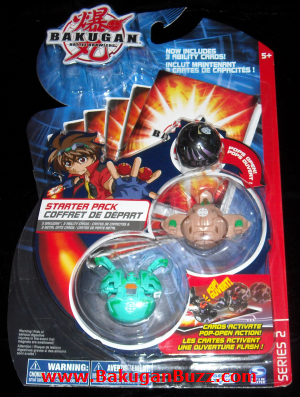 The first waves included Bakugan that were originally in series 1 and later changed to special attack only. Heavy metal delta dragonoid, and hydranoid, jumping skyress and g-power and element changing preyas. The next wave included spin dragonoids, spin ravenoid, two sided preyas, and the zoack bakugan trap. The latest Bakugan special attacks include heavy metal Vandarus, jumping Boost Ingram and changing wheel Elfin.